From the moment you bring your baby home to the day your child strikes out on their own, their bedroom grows up too. 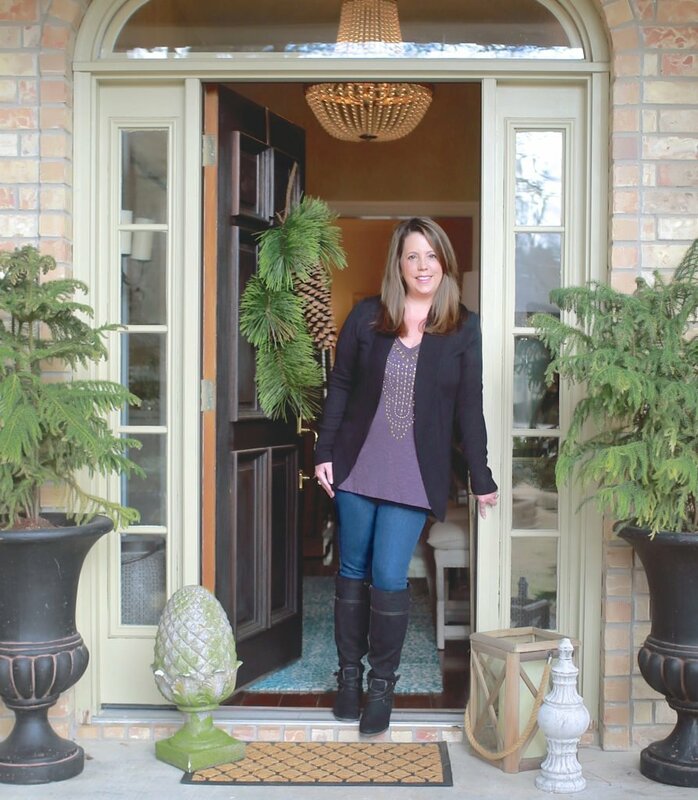 It evolves from your vision of the perfect space to their sanctuary that they let you enter. And of course, back to your space, which is another post all together. 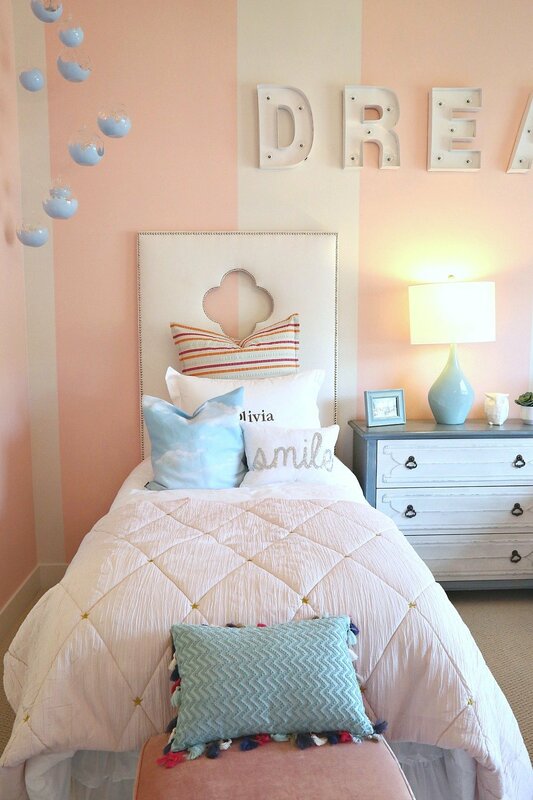 So while you have a say in their bedroom style, or you are a teenager looking for decor ideas to share with your parents, you will find some creative kids bedroom decorating ideas for any age from the Parade of Homes tours looks below. Gender neutral bedrooms are on trend, and if you are waiting to find out if your baby is a boy or a girl, avoiding the stereotypical pinks and blues is a much more sophisticated way to go. 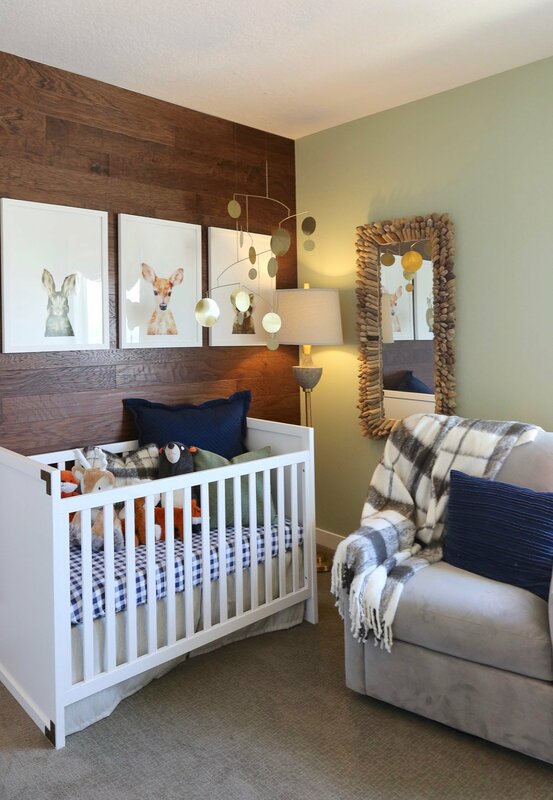 This sweet nursery below is a perfect example using gender neutral framed animal prints and plaids. 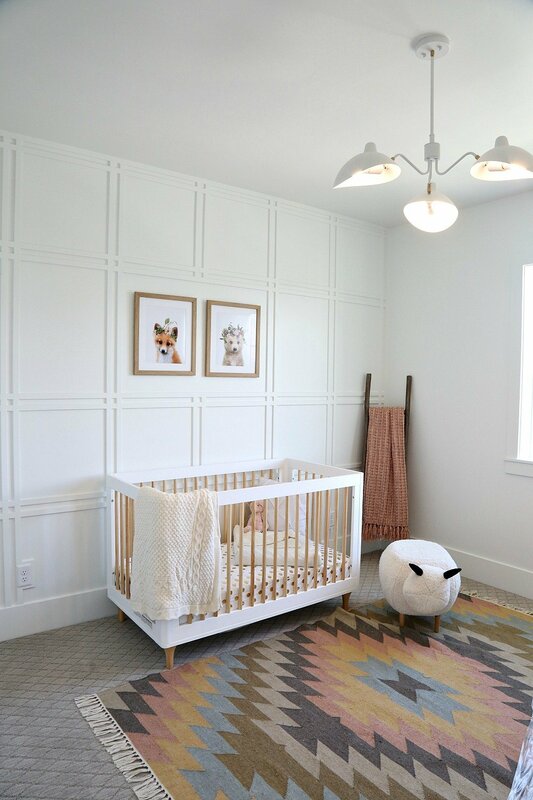 Fun and colorful/patterned rugs in a nursery are a great way to incorporate more color and notice the beautiful trim work on the accent wall. This type of focal wall treatment will work for the long-term, whether in a nursery or as the child matures over the years. 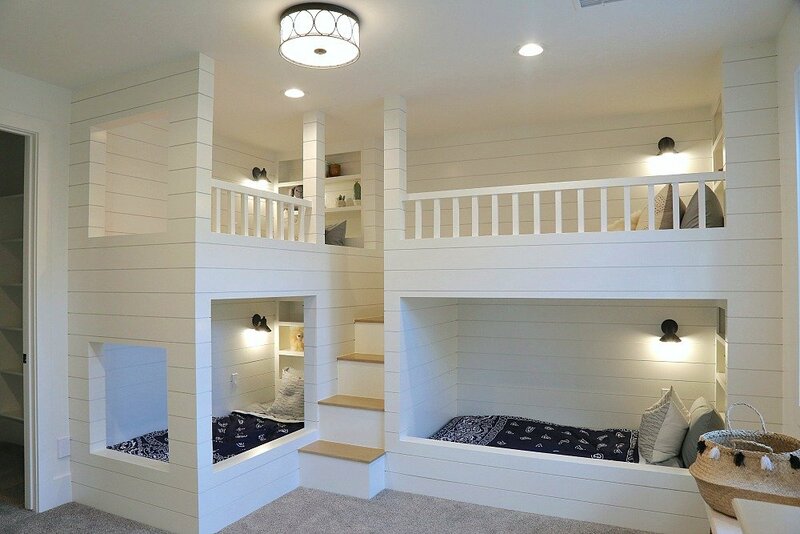 What kid wouldn’t want their own hideaway? With long summer nights and early bedtimes, dropping the curtains and creating a quiet space with less light is an added bonus. Built in bunk bed. Plenty of storage underneath. Cozy nook under, sleeping above. 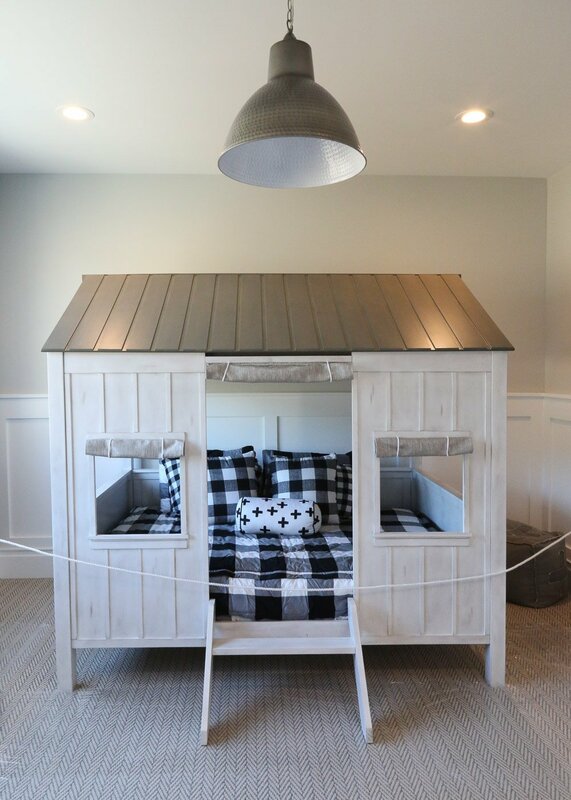 Bunk beds are a space saver and kids can easily drape blankets to create an instant fort. 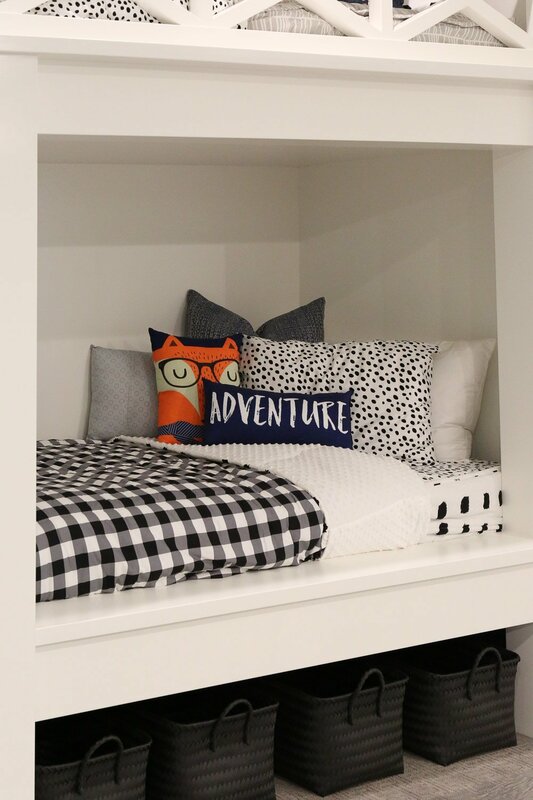 Fun patterned bedding, bold pillows and fun lighting are a great way to add to the decor of bunk beds. What adult wouldn’t want a cozy nook to curl up in to read a good book? Kids are no different. Plenty of storage with lots of light, soft squishy pillows and toys. 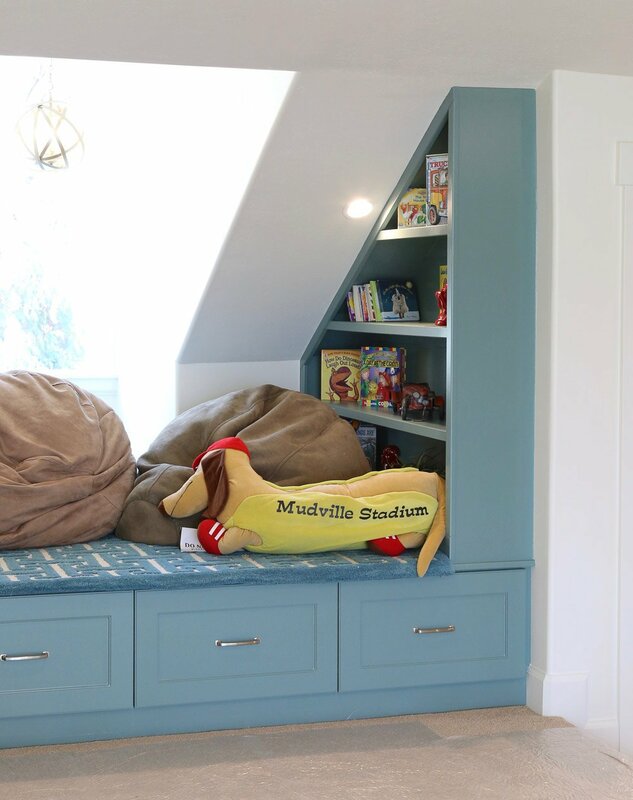 Painting built-ins in a fun color is an easy and inexpensive way to incorporate color when it comes to decorating kids bedrooms. If you choose a color that is timeless, as the child matures, the built-ins don’t have to be repainted and can remain the same color. The unicorns have moved right in. 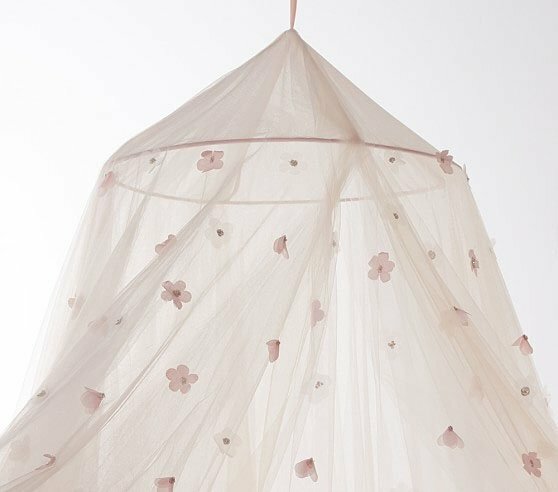 Forest wall paper, petal covered tulle canopy matched to a palate soft cream and pale pink. What princess would not feel right at home? Tween meets dream. Sophisticated soft details. 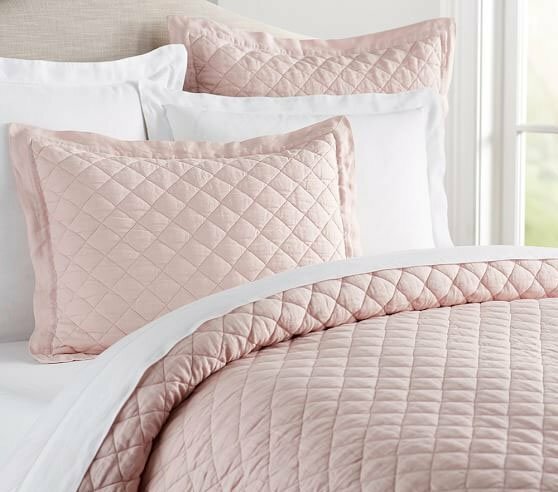 From plush headboards and personalized pillows to furry rugs and padded benches, softness is surrounded by architectural details of wide pink and ivory stripes, echoed in the valance and simple chandelier. Pretty bedding with a mix and match of fun patterned pillows are an easy way to incorporate color and accents. 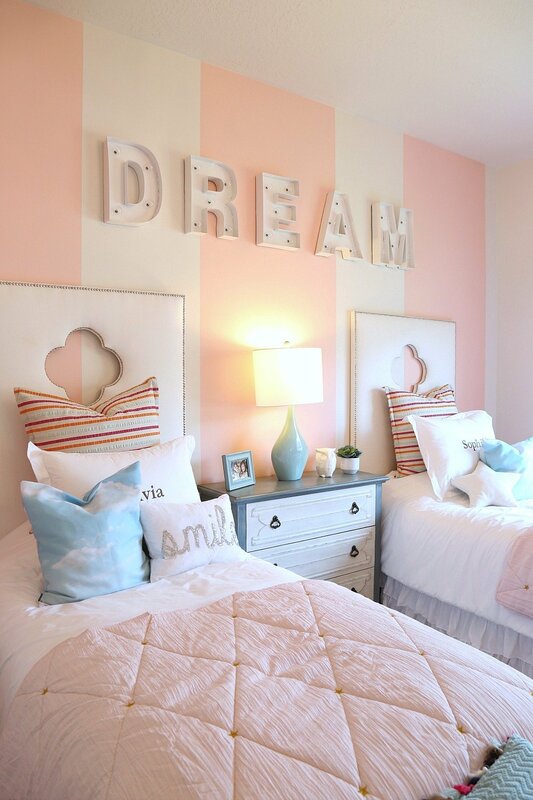 Whether in boys or girls bedrooms, painting stripe walls is another easy and inexpensive way to make a fun statement and add to the decor of a child’s bedroom. Letters hung on the wall are a great way to spell out fun words or a child’s name. Letters can be found at craft stores and come in a variety of shapes, colors and sizes and they really add a fun touch to a child’s bedroom. 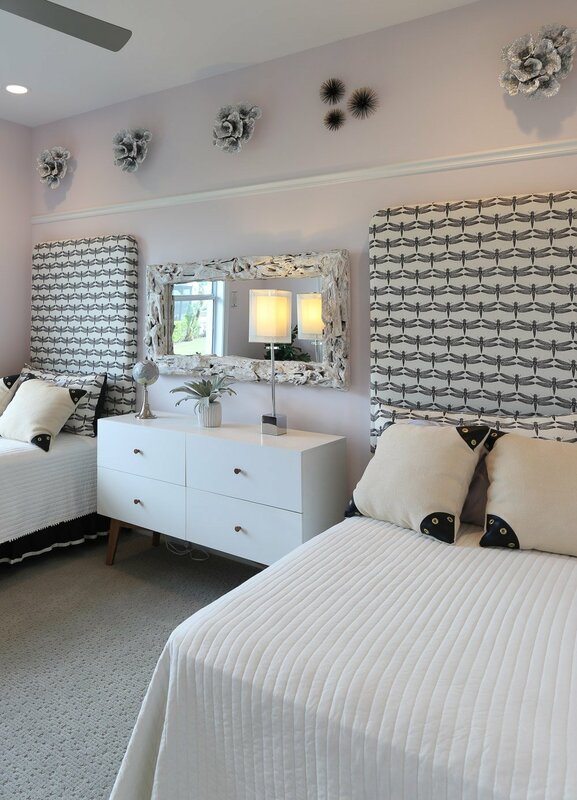 Elegant tween meets teen bedroom. 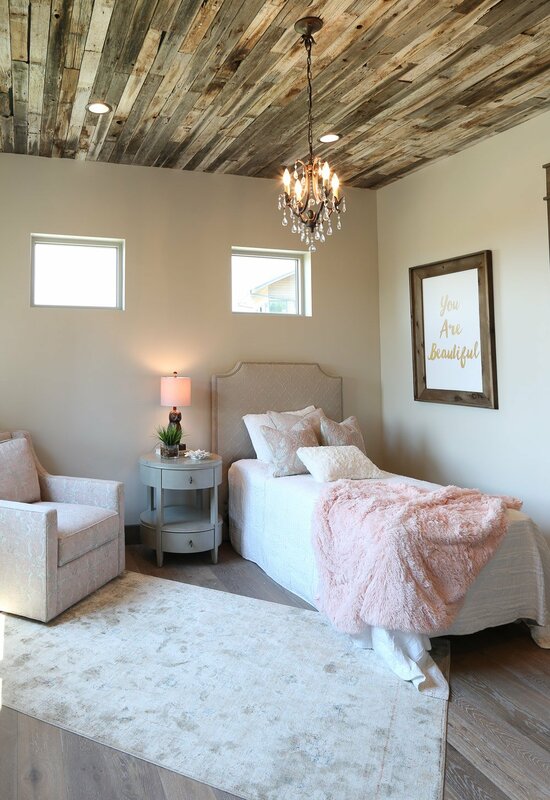 We love the chandelier mixed with the rustic look of a weathered wood ceiling. Wood ceilings can be done with peel and stick products and even “wood look” wallpaper. 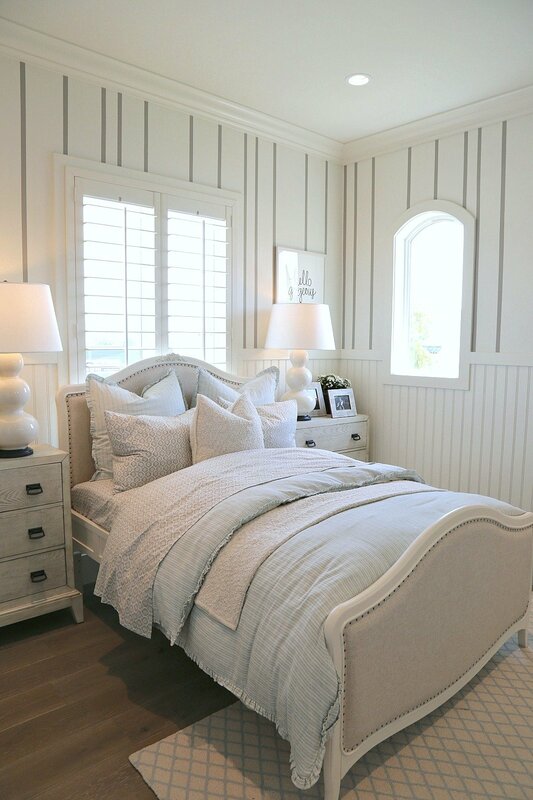 The paint colors are just as luxurious as the layered details of the bedding. For more paint ideas check out our readers’ favorite paint colors. 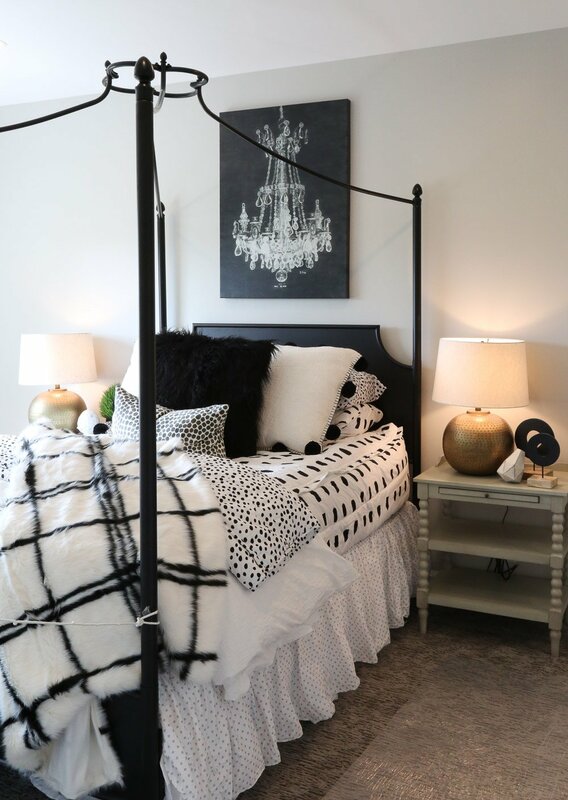 Black lacquered four poster bed, with mixed pattern bedding including a ruffled bed skirt and fun pillows bring a touch of whimsy to a room that is just a step away from grown-up sophistication. 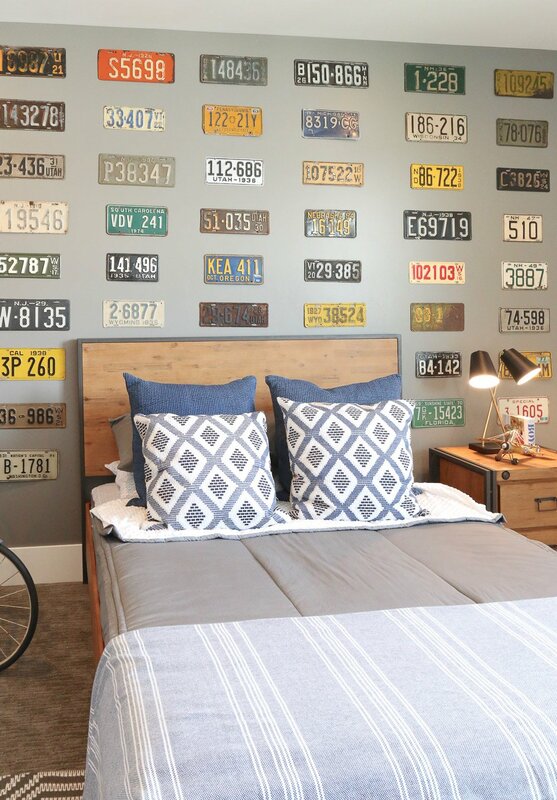 If your teen is into sports this room should be at the top of your inspiration board. 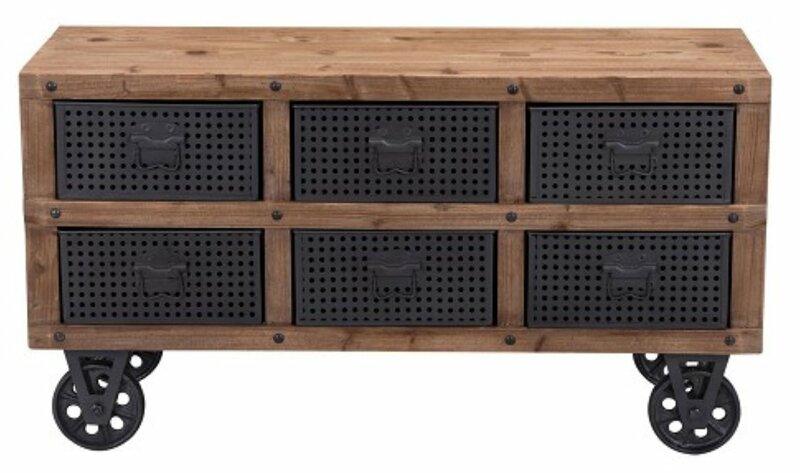 Built in bookcases with plenty of space for trophies, a ticket headboard, and bench storage that is would almost be at home in the locker room. 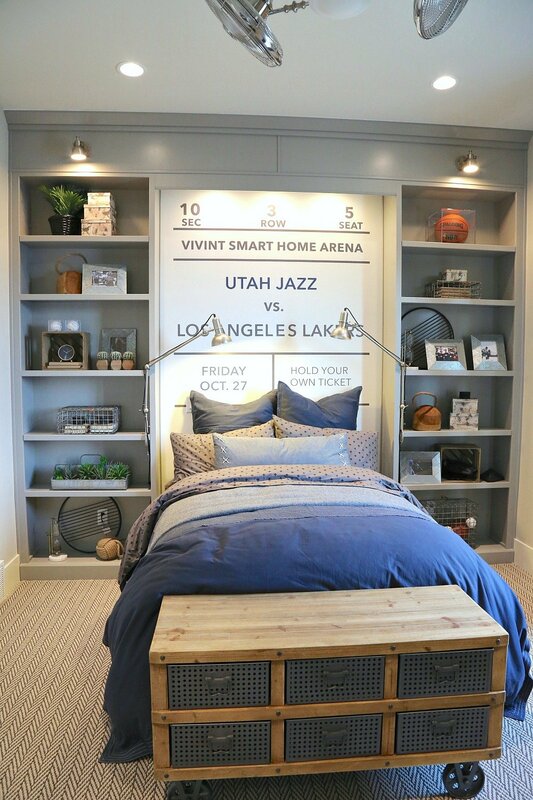 We love the idea of having a sports ticket blown up to poster size and hung on the wall. Road trip anyone? If travel is in your genes this bedroom would be a hit. 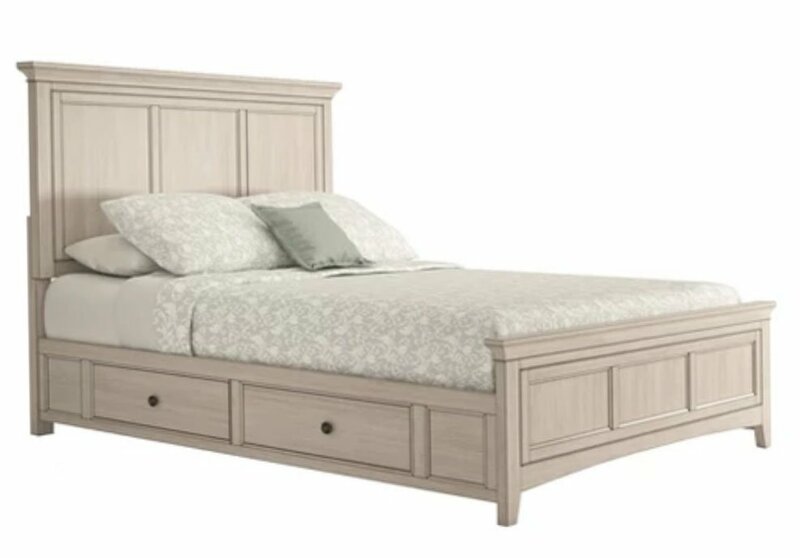 Soft pine furniture, warm grey walls, chambray bedding all calls to the outdoors and traveling the country. If I was a teenager I would move right in. The chevron inspired design on the walls are unique design touches. Can’t miss the gold puff with a faux fur throw. This room screams cool. 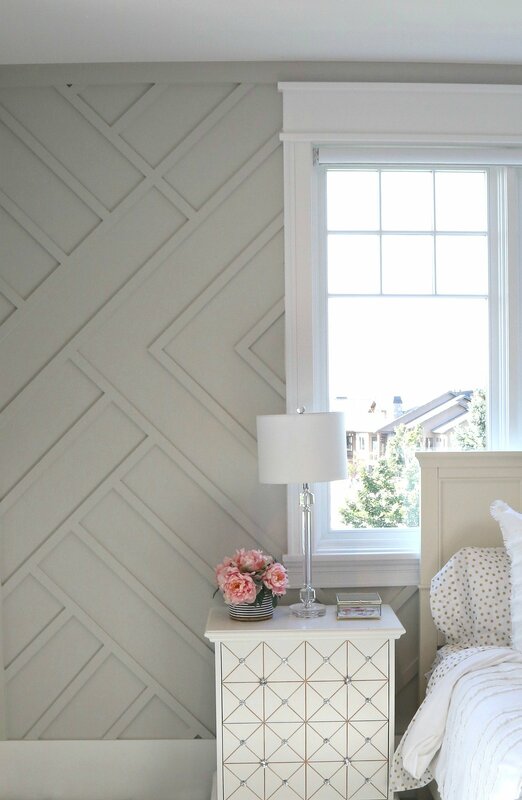 Again, notice the cool geometric wall treatment done with painted trim pieces. 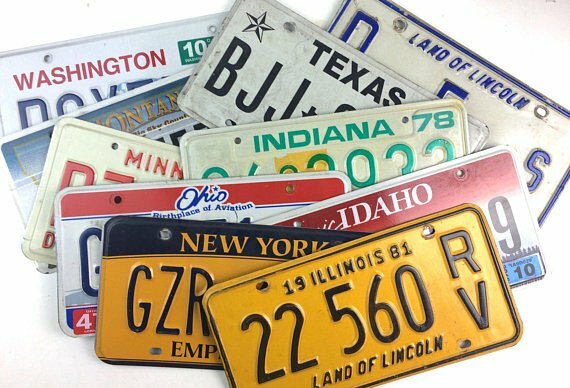 Such a fun way to make a statement. A cultivated study nook for the sophisticated teen. 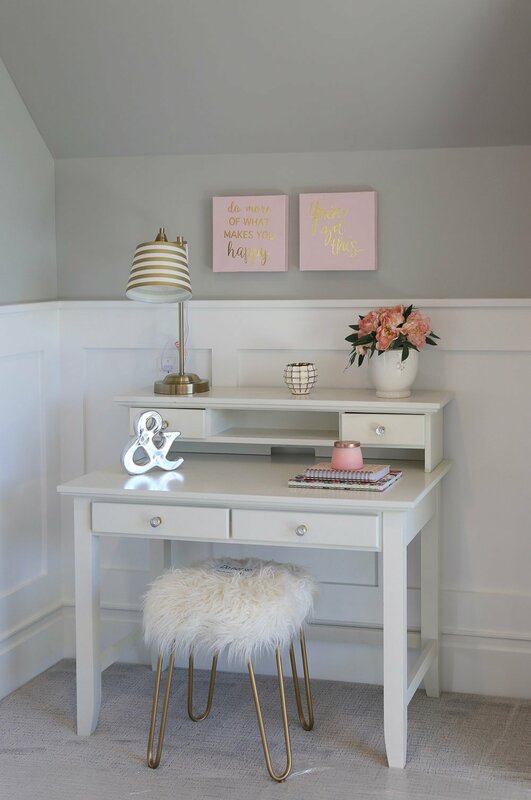 Looking for ways to create study areas and reading areas is important when decorating teen spaces. This teen bedroom decor is just a tad retro and stylish with a capital ‘S’. This bedroom proves white does not need to be boring. 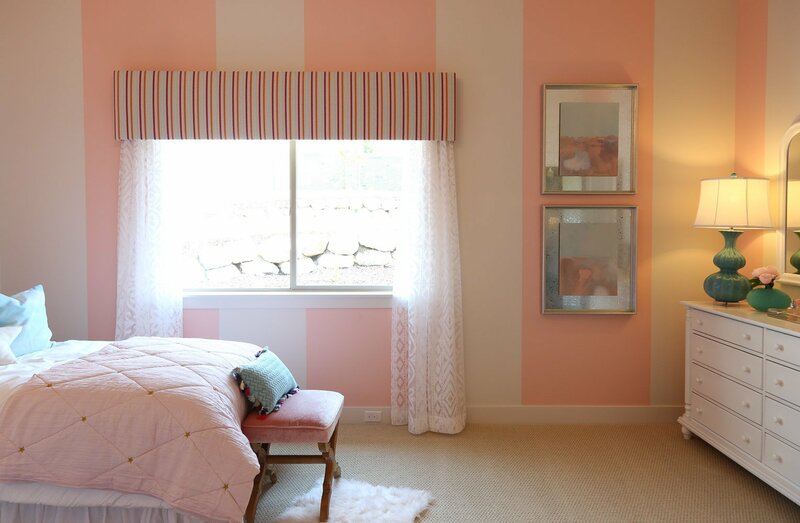 Another painted stripe wall idea but we love the the look of the narrower stripes. 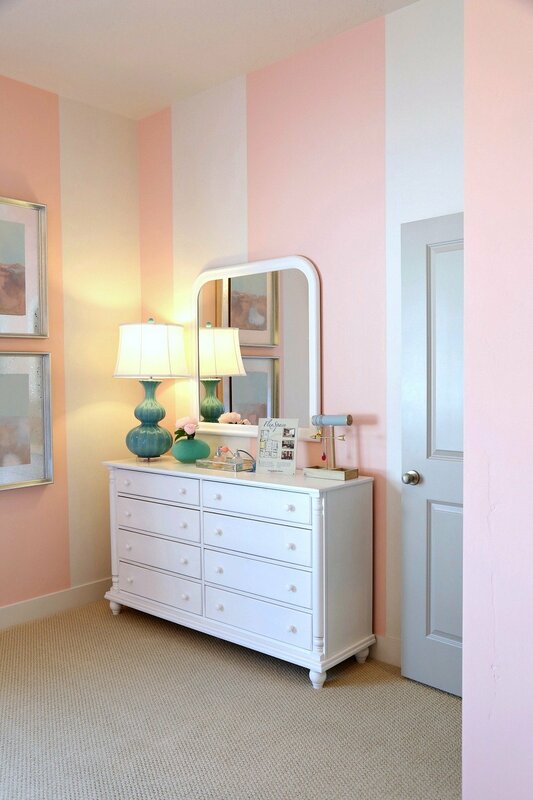 What you would not expect would go together, stripes and wainscoting, marry perfectly. 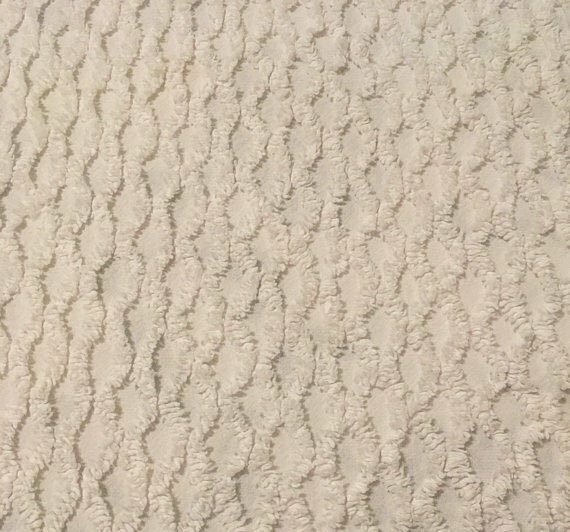 A patterned rug even works, proving the exception. Layering an “almost adult” bedroom can be challenging. Of course at this age, your child will most likely have a strong opinion at this point of what they would like to see and have in their “almost adult” space and that’s really the best place to start getting ideas! 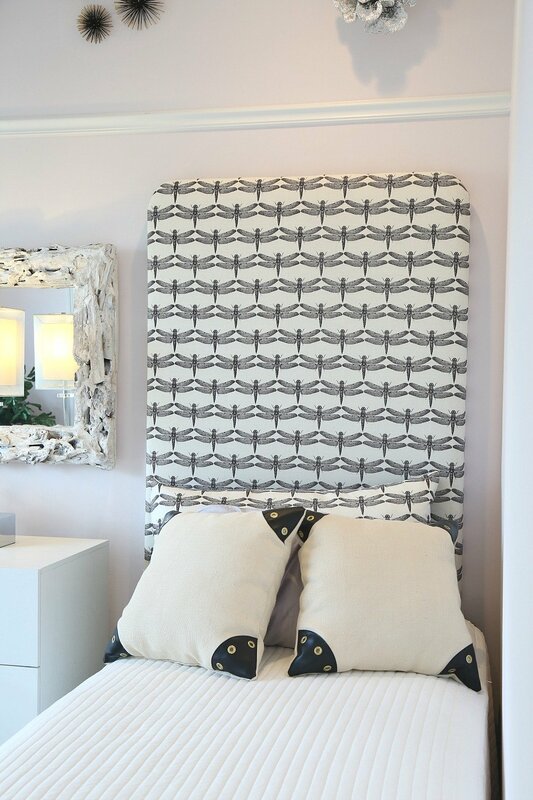 We love the firefly headboards, driftwood mirror and funky art make in this shared young adult bedroom that has a fun nautical vibe. 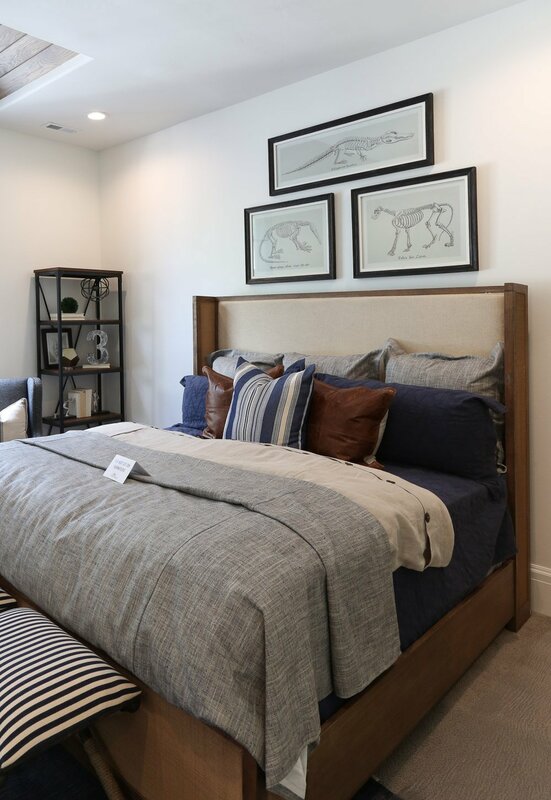 Naples Parade of Homes had a refined take on bedrooms that included this pretty one. 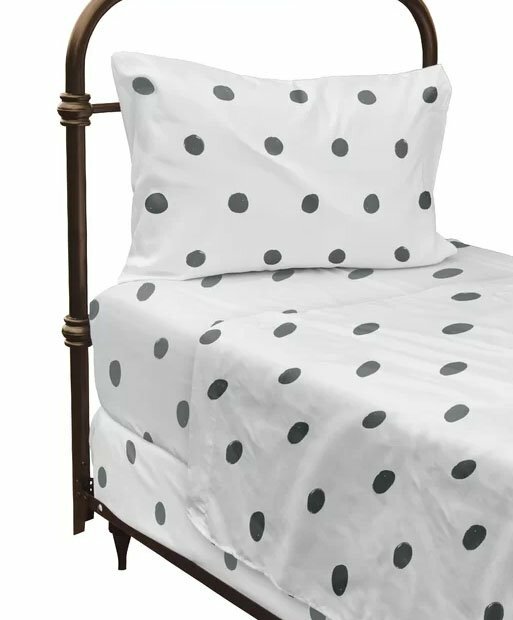 DIY upholstered headboards simply secured to studs in the wall are a fun way to switch out and change colors/patterns as children mature. 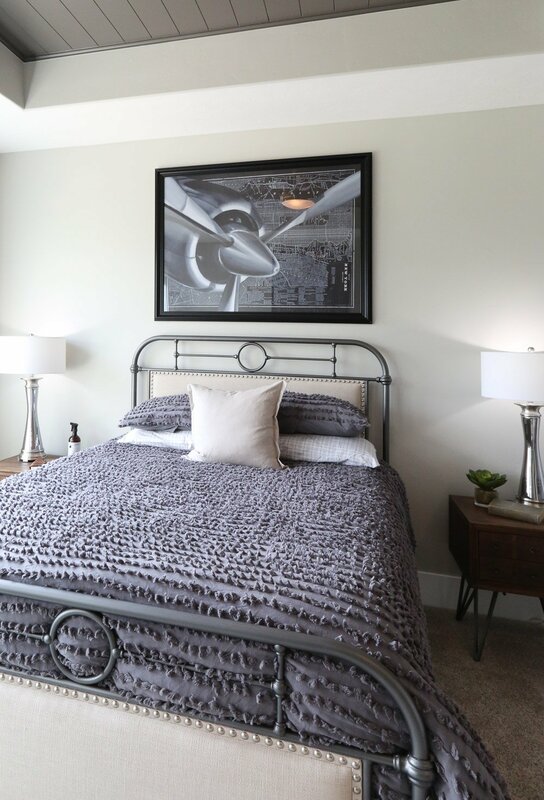 Retro decor for this bedroom makes a stylish choice for the teen/adult in your home. A bed with an iron frame and a chenille bedspread matches masculine to feminine. 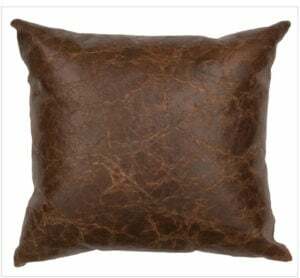 Go vintage when looking for chenille bedspreads. Two words for this bedroom decor: tailored style. The mix of stripes, chambray and leather pillows is sophisticated and mature. Just the right combination. 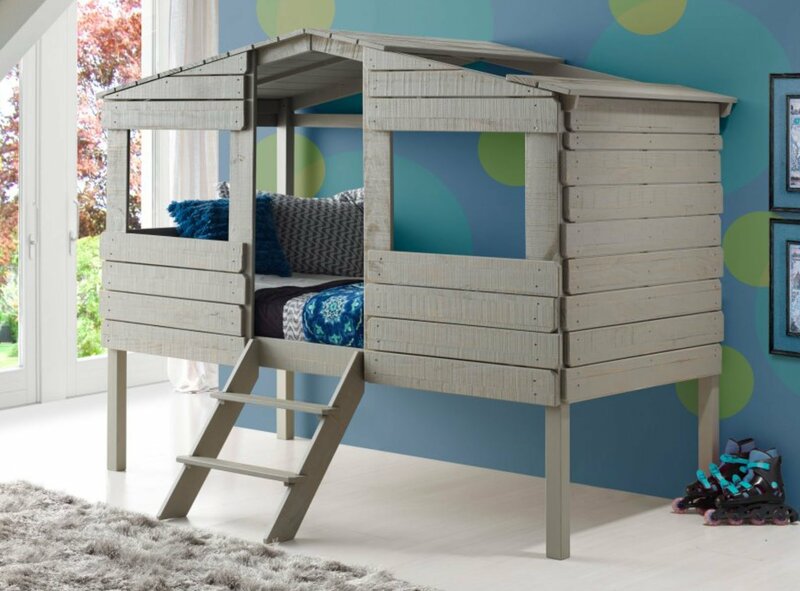 Whatever the age, a child’s bedroom can be both a retreat and a source of inspiration. Here’s to finding a look for your kid’s bedroom that you both can live with and they find cool. It’s out there. 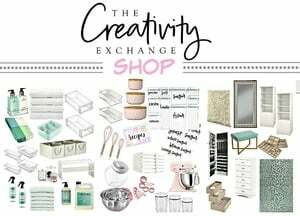 We hope we have giving you plenty of ideas and tips for creating the perfect space!